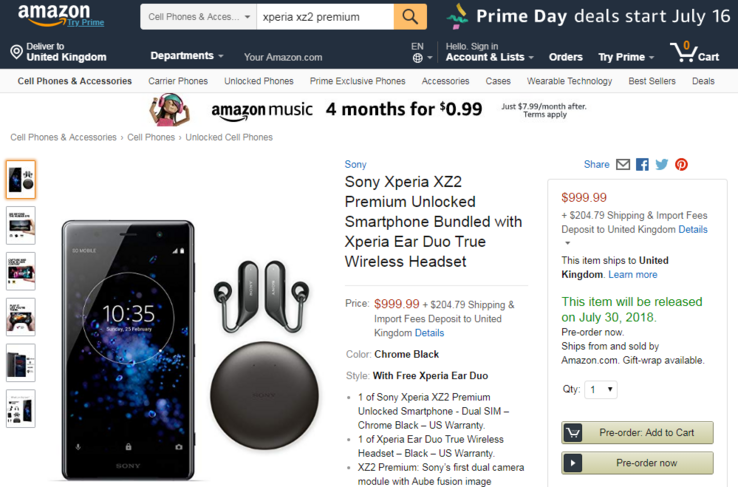 Customers who purchase the Sony Xperia XZ2 Premium while it is up for pre-order in the US will get a bonus. Normally US$279, a pair of Sony's Xperia Ear Duo headphones will also come with the normal asking price of US$999. Pre-orders can be made through Amazon right now until the bundle officially ships on July 30. At this stage, only the Chrome Black version is available with the Chrome Silver option not yet confirmed. 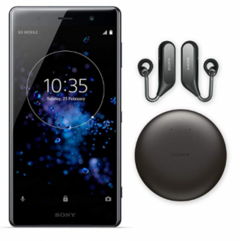 The Xperia XZ2 Premium is the most expensive Sony flagship device to date, and also a heavyweight in more ways than one. It packs a second-generation 5.8-inch 4K HDR Triluminos display, dual-rear cameras, wireless charging and a Snapdragon 845 with 6GB of RAM. It also incorporates a large 3540mAh battery that should help to keep its high-resolution display powered for a full day. The Xperia Ear Duo headphones introduce a new listening experience from Sony. They are designed to let ambient noise mix with music or voice instructions so that users are always aware of their surroundings. They also work to provide users with an audio-based augmented reality layer that works with Google Assistant and Google Now to provide real-time information about a user's surrounds.